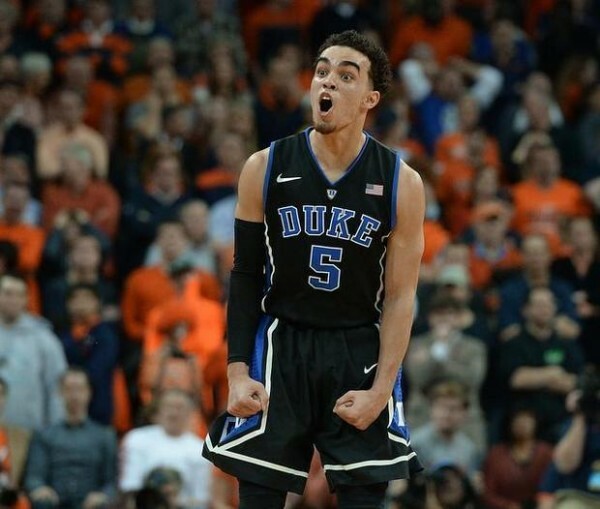 The ACC championship race was blown wide open as Duke put behind the talks of being overrated and previous losses to beat a previously undefeated Virginia team 69-63 with some excellent late defense and clutch shooting, keeping their hopes of winning the conference title alive. Virginia let this one slip away as their defense couldn’t gain control of the outside shooting in the final three minutes, not to mention not scoring a single point after taking a five point lead with 2:58 left in the game. Duke went on a 11-0 run to finish the game, but Duke made three 3-pointers in a short time span as the focus on stopping Jahlil Okafor and Amile Jefferson in the paint cost the Cavaliers in the end by leaving shooters open again and again to penalize them. And it’s also a matter of shots dropping finally. Duke finished the game with just 6-of-17 from beyond the arc, but were a perfect 3-for-3 in the final three minutes after a horrific shooting performance up to that point. Missing Rasheed Sulaimon? No one noticed the previous premier bench player is off the team. Matt Jones got more minutes (24 and scored 9 points), nailing the 3-pointer that brought Duke to within two points of Virginia in that finishing run. Duke missed their first nine 3-point attempts. Overall, this was a big letdown by the Virginia defense. They allowed 44 points in the paint despite holding Okafor to 10 points and Jefferson to just 2. This was the most allowed by a Virginia team in the paint since 2012 in a loss to Florida. Duke also scored 43 points in the second half, tied for the most points the Cavaliers have allowed in any half this season, not to mention being more than seven other teams have scored against them. Overall, they allowed 19.8 points more than their season average, 16.8% better from the field, more than double the paint points they allow on an average night (19.2) and gave up 15 points in transition, almost triple their usual 5.2 points per game average. All except the 69 points were seasons highs in terms of what’s allowed by the Virginia defense, becoming the second team during Mike Krzyzewski’s tenure at Duke to boast 19-0 record or better and lose to them. The first time was UNLV in 1991 (Final Four game), as Duke went on to win their first title under Coach K.
In a clash between the number four overall team (Duke) and the number two team in the nation, we might have seen a big change near the top taking place, although the Blue Devils are still two games behind Virginia. More than anything, it asserts Kentucky’s position as the number one team in the country.